As we turn the corner from winter and spring and start enjoying the warmer months as we go into summer, we should be aware of a few things. The summer months comprise the season for natural events such as tornadoes, hurricanes and wildfires. The summer months are also when the most people are outside, on the roads, at sporting events and on vacation. It’s for these reasons we should take caution by having a plan in place in case a crisis arises. 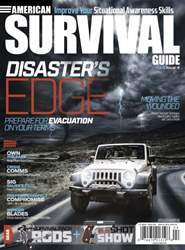 In this American Survival Guide, we talk a bit about being prepared for a forced evacuation, and never is there a greater time to be well prepared than when you’re away from home. At home, we have supplies, our important paperwork and plenty of storage space to stow our evacuation kits. After all, during the late fall and winter months, that’s where we spend most of our time.